“So what are we left with? A burgeoning debt, and no effort on the horizon to get it under control. 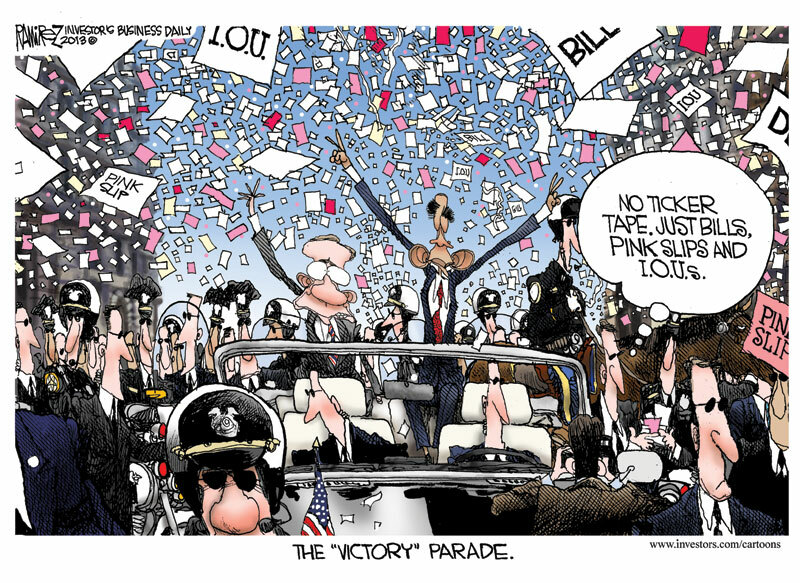 Obama’s “victory” couldn’t be much more hollow, as his policies continue to drive us toward financial catastrophe…” Victory! “In truth, the resolution of these issues – even for 4 months – probably means that the one thing the Democrats couldn’t afford happen is going to happen; Obamacare will be an issue – perhaps the #1 issue – in midterms next November.” Why are the Democrats Gloating about Winning?